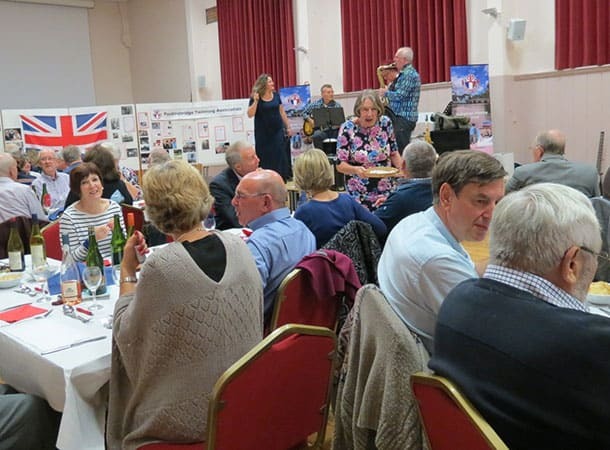 On Saturday 22nd October, the Fordingbridge Twinning Association will be running its very successful annual “Jazz on an Autumn Evening” event, with a French flavour. This time it will be featuring the French oriented Jazz Band “Musique a Trois” in Fordingbridge Town hall. Food will be provided, consisting of food produce purchased from the Vimoutiers Festival which will have been gathered during the previous week, when some of our members will have visited the Vimoutiers annual festival in October. Fordingbridge is twinned with Vimoutiers in Normandy, and in fact will be celebrating its 35th anniversary next year, in May here in Fordingbridge, and in Vimoutiers in October. So do watch this space!